BRYAN EATON/Staff photo. 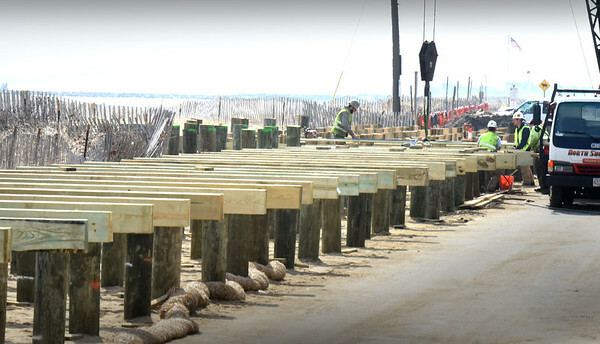 The construction of the boardwalk at Salisbury Beach is moving along as the pilings have been shaved and fit with crossbeams. The hope is the structure along the ocean front will be done before the start of tourist season, or shortly thereafter.